The rink has closed for the 2018-2019 skating season. Check back soon for more information about the 2019-2020 skating season. The rink is slated to open in mid-October 2019! Join the skating-club mailing list for the most up-to-date club information. See the latest club news on our Facebook page. 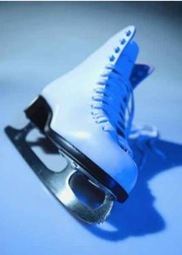 Our club provides an enjoyable, sociable, supportive, and safe environment for figure skaters of all levels. Beginners are always welcome! Membership is open to all members of the MIT community. The MIT rink is located in the Johnson Athletic Center. ***Please note that only club members are allowed to practice during MIT Figure Skating Club practice sessions. However, you are always welcome to come, watch and see if you would like to join the club.